I practice in a blue-collar town with what’s generally considered “insurance-driven” patients. Despite this, I have an extremely high case acceptance rate for comprehensive treatment that generally isn’t within insurance benefits. How is this possible without “selling”? It’s a simple, systematic process of co-discovery among the patient, my team and me that helps me present patients with options that I already know will invoke a “yes”—without an ounce of sales. Follow these eight steps and you too will find patient acceptance of treatment with ease, when your patients are ready. Your most successful interactions will be with like-minded people, and this includes your patients. Verbalizing your philosophy of treatment in your practice will help you with this. 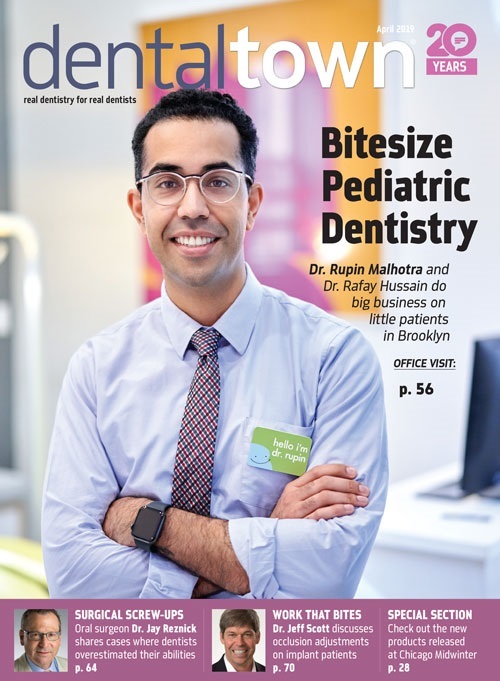 If your goal is comprehensive dentistry, then you’re someone who’s capable of seeing the big picture and wants to treat your patients as a whole. Answer some questions for yourself. There are no “wrong” answers; simply put, this is your opinion for how you want to practice, and the choice is yours. Is it acceptable to you to phase this treatment? Is it acceptable to you to patch things up and continue to deal with problems one at a time as they arise? I am a comprehensive dentist. I’m clear about that to my team, and my team is clear about that to patients before they see me. I’m effectively telling patients that this is who I am, and our relationship will be built on this basis. This initial step of clarity about myself actually helps select cooperative patients through a process similar to natural selection. Patients who share my goals and philosophy self-select into my schedule. Initially, I was afraid to be so bold about who I am and how I prefer to practice. The reality is that practicing this way, I feel personally rewarded because I love the impact I’m having on my patients’ lives. If you choose to be clear about who you are, people will seek you out if you are the right fit for them, the quality of your patients will be exponentially better, and so will their experience. The most important piece to establishing rapport is to get to know your patient. This is the first step to establishing a trusting relationship. Ask about the patients’ goals, concerns and fears; what they expect from you; what’s important to them; and how they rate their smile … and what they think would make it better. This rating is subjective, so even patients who rate their smiles 8 out of 10 could have something very obvious they want to improve. It’s their personal perspective that allows you to assess the level of education. For instance, if you look initially and think “2” but they say “8,” you know that you have some work to do in closing the gap so they own their condition. Do your thing. Lay your patient back and conduct your examination and include risk assessments that fit for expertise and skills set. Report your findings out loud to a team member in front of the patient, so your team member can annotate. Be very deliberate in your language to make sure the patient understands what you’re saying. The patient has already heard you report your findings to your team member. Too often I see doctors leave a team member to explain the patients’ condition to them—even something as simple as cavities. In my mind, that’s an odd attempt at establishing rapport and trust. This is your opportunity as the doctor—now you can explain to the patient your findings in layman’s terms. Don’t use words like occlusion and articulator; Instead, say the way your teeth come together or chewing simulator. This positions you as the expert and gives the patient the opportunity to gain insight into your treatment rationale and your sincerity in your recommendations. Allow your patients the opportunity to express concern and to ask you what to do about what they’re concerned about. Recognize the power of silence after your case presentation. If you wait, patients will speak their thoughts, and this will give you an opportunity to align their concerns with yours. Show your patients what’s possible, with their best interest at heart. This is a great time to show your patients similar cases of other patients and how you addressed their dental problems. In my office, I keep a folder of before-and-after photos, like Figs. 1 and 2, on the desktop of every computer, so it’s quick and easy for me and my team to show. Examples include implant-versus-bridge cases, full-mouth rehabilitations, and orthodontic or veneer cases that address specific concerns like closing spaces, correcting wear and replacing teeth. People find comfort and safety in things other people have done first. This step creates confidence in the proposed treatment, and in you as a dentist. This is a good time to be open and honest about fees other patients have paid for similar treatments. Tell the patients all the available options for improving their current situation. Do not pressure patients in any direction—it’s entirely their choice, not yours. This step requires a simple question that’s the single-most game-changing concept: making your case presentation measurable. Ask your patient if the treatment options you’ve presented are in line with their goals. Most of the time by now the answer is yes. What if the answer is no? This is an opportunity. Ask them what about your options isn’t in line with their goals, and take another opportunity to cater to their needs. This is your chance to answer any questions and fill any gaps in their knowledge or in your delivery of information, so they can make the best decision for themselves. Manage your patients’ expectations by making sure they understand in advance of treatment exactly what they’re getting. The best part of this experience is the fulfillment I get as a dentist when my patients have been a part of the discovery process and the decision process and have realistic expectations, because these people become truly appreciative of value of the care they receive. This is the simplest step. Give your patients what they want as a final treatment plan. By meeting their value for treatment, any option is simply giving them what they want will result in a happy patient. Accept their choice, give them an accurate fee estimate, keeping in mind to communicate to your patients that some fees such as lab work are variable. When the patients are ready, they’ll accept treatment, and then you can do what you do best—dentistry! As a result of this process, my patients are a group of value-driven, educated human beings who are shown the best that dentistry has to offer, and whom I give what is in line with their goals. I don’t try to control the outcome; I simply give them exactly what they want. Patients are not “buyers,” they are human beings seeking a health care service. They will accept treatment when they see value in line with their ultimate goals, but they will never be sold. If you only remember one thing when treatment planning, remember this: My No. 1 rule of planning patient care is to never think about money. In business, if you provide a valuable service by giving people what they need, the money will come. Dr. Nada Albatish (“nalbatish”) owns and operates a multidisciplinary practice, All Smiles Dental Centre, just north of Toronto. As a consummate learner, Albatish has committed to advanced continuing education, first by completing a GPR residency immediately out of dental school, followed by hundreds of hours of CE each year. Her love for complex and rehabilitative dentistry has focused her work and earned distinction in the industry and among her peers. 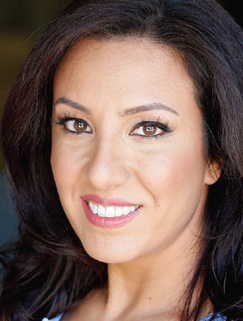 As a speaker, author and key opinion leader, Albatish is inspired by helping her fellow dentists to achieve excellence, predictability and confidence in their craft. She acts as a mentor and support system for clinicians around North America, and is a faculty member of Clinical Mastery Series.